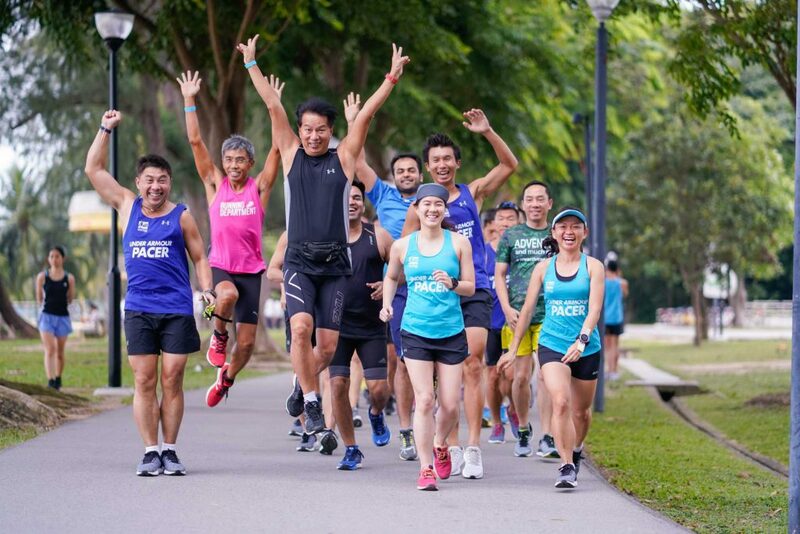 Runners who have been training with the Team 2:20 pacers for the upcoming Straits Times Run 2018 will definitely not miss this friendly, tall & slender pacer in the group! In conjunction with The Straits Times Run 2018 that will be flagging off on this coming Sunday (23 September 2018), we are casting the spotlight on Ling/ Si Shu / Shisi (names which some of us know her by), an engineer by profession. 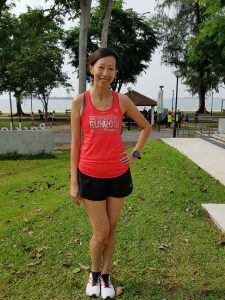 Instead of chasing her personal best timing, she has decided to forgo the thrill of clocking a PB for now and is focussed on contributing back to the running community by pacing in the upcoming Straits Times Run 2018. 10 words with which Ling describes herself : Tall, Slim, charming, rational, quiet, helpful, friendly, sincere, easy-going. Here are 10 things you probably don’t know about Ling. Do you remember the first moment when you “felt like a runner”? That will be in year 2013 when I completed my first ever 10 km in the Jurong Lake Run. Being able to complete the first 10 km race at an average pace of 7min/km, left a sense of achievement and made me feel like a runner. When did you start running with RD ( Running Department ) & what kept you running with RD? I started running with RD when I signed up for my first ever Full Marathon with a targeted timing to achieve. As RD was the official pacer and coupled with the factor that RD training runs were open to public, I decided to train/ run with them. What is your most memorable pacer moment? 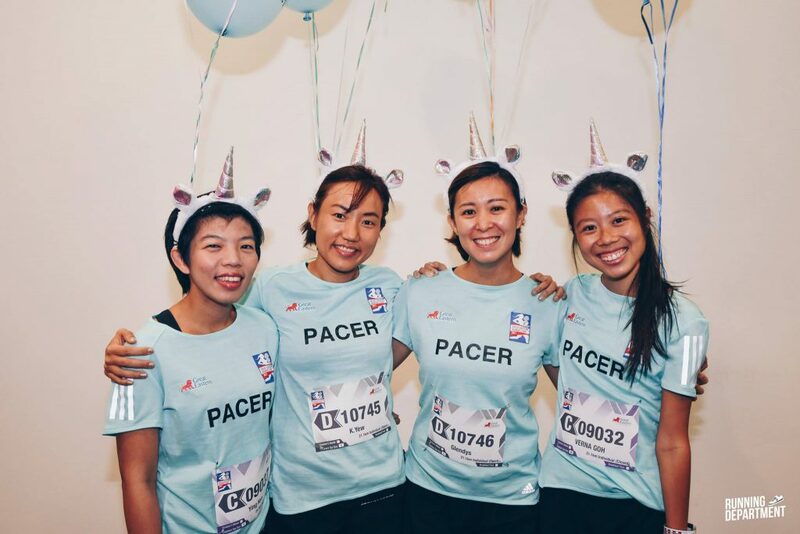 The most memorable pacer moment was during Great Eastern Women Run 2017, when our team dressed up as Samsui women – as a tribute to these superheroines who contributed to the construction industry during Singapore’s early development years. What is that one thing you can’t run without? My GPS watch & MP3 player if I run alone. What is your preference -Trail or road? I just had my maiden experience on trail run this year , so it’s hard to judge whether I like trail or road more. But who knows in future I may prefer one over the other. 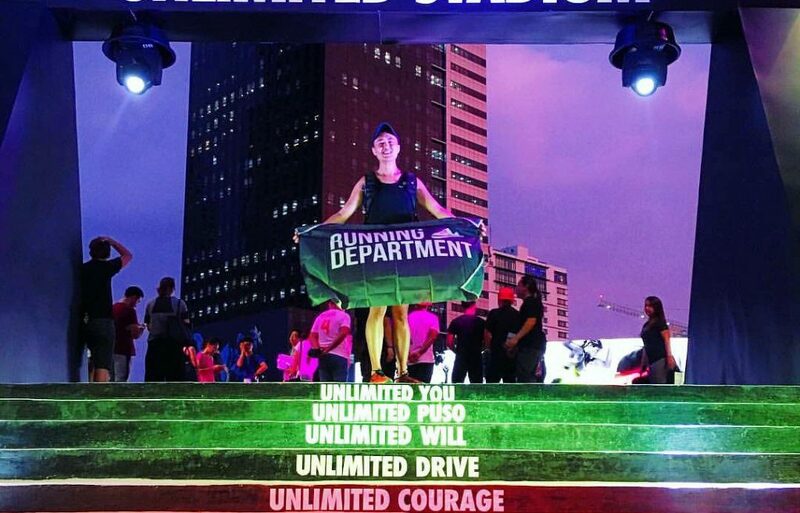 There is a route which I will sometimes run to gauge my fitness level – from my house at Yishun, towards Mandai road until I reach the zoo signboard, my U-turn point. Total distance is about 17 km, which is not too long but challenging since I encounter several up & down slopes on the way. Not to mention the perks of running by three beautiful ponds which provide scenic distractions along the way. On some occasions, I spot some curious monkeys too. I get great satisfaction from running this route. What are your goals/ objectives in running now? I will be joining Osaka Marathon this coming November and I am hoping to clock my personal best timing in this upcoming race. Which describes you the best: Eat to run or Run to eat? After a LSD or HM/FM race, I am hungry to the extent that I am able to eat six meals a day!! So I definitely run to eat!! Tell us something about yourself that is not related to running. When I am not running , I am just a normal “auntie” who lazes on a bed watching drama whole day. Hermione (pronounced as “Her-my-uh-knee) loves exploring new places via running. She enjoys her runcations as this kills two birds with one stone - you get to travel and run at one sitting. When not running, she “experiments” with healthier recipes with her oven!